The Neuronal Ceroid Lipofuscinoses (NCL) are a group of fatal inherited neurodegenerative diseases in humans distinguished by a common clinical pathology, characterized by the accumulation of storage body material in cells and gross brain atrophy. In this study, metabolic changes in three NCL mouse models were examined looking for pathways correlated with neurodegeneration. Two mouse models; motor neuron degeneration (mnd) mouse and a variant model of late infantile NCL, termed the neuronal ceroid lipofuscinosis (nclf) mouse were investigated experimentally. Both models exhibit a characteristic accumulation of autofluorescent lipopigment in neuronal and non neuronal cells. 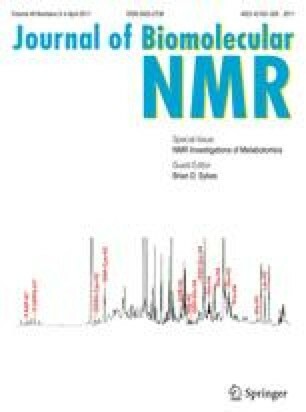 The NMR profiles derived from extracts of the cortex and cerebellum from mnd and nclf mice were distinguished according to disease/wildtype status. In particular, a perturbation in glutamine and glutamate metabolism, and a decrease in γ-amino butyric acid (GABA) in the cerebellum and cortices of mnd (adolescent mice) and nclf mice relative to wildtype at all ages were detected. Our results were compared to the Cln3 mouse model of NCL. The metabolism of mnd mice resembled older (6 month) Cln3 mice, where the disease is relatively advanced, while the metabolism of nclf mice was more akin to younger (1-2 months) Cln3 mice, where the disease is in its early stages of progression. Overall, our results allowed the identification of metabolic traits common to all NCL subtypes for the three animal models. The authors would like to thank Dr. ChunHung Chan for help preparing the mice. This work was partially supported by Merck Sharp Dohme, NIH R21NS060185, NIH R21DK070288-01 and the Batten Disease Support and Research Association.